This sleek 1989 Batmobile Replica comes from the unforgettable Batman movie of that same year. The sweet ride was driven in the film by Michael Keaton as Batman. 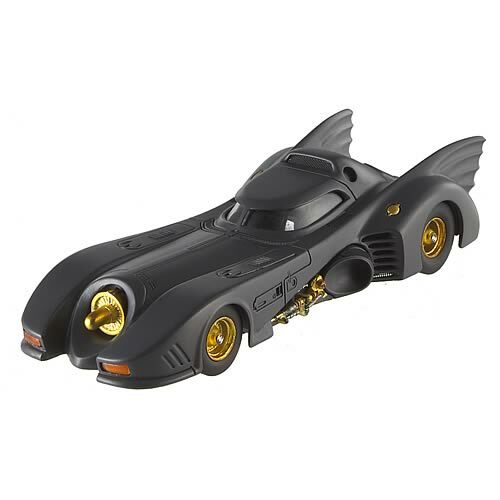 Part of the Hot Wheels Elite Cult Classics, every detail is brought to life in this 1:43 scale die-cast vehicle that will make an awesome addition to your own Batcave!